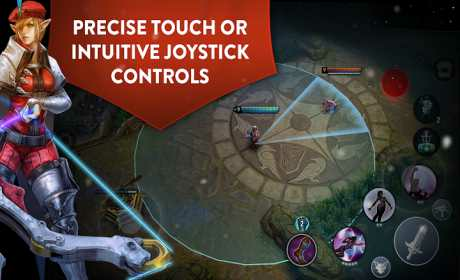 Vainglory is a MOBA designed for touchscreen devices and Android operating systems. – FREE TO PLAY AS MUCH AS YOU WANT. 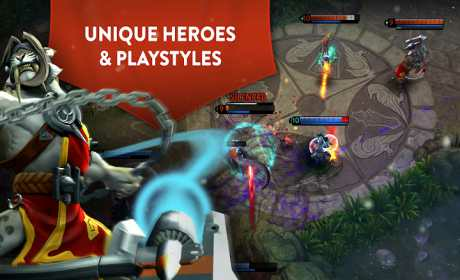 – Dive into a complete MOBA by veteran developers from top AAA studios. – Immerse yourself in a stunning world with ultra-high fidelity graphics. – Play with precision controls that amplify your skill. – Blaze through fast-paced, 20-minute matches. – Explore immense variety and flexibility in item builds for each hero. – True laning, ganking/objective-taking and teamfighting phases. – Party up with friends or follow matches in spectator mode. – Collect cards and trade them in for three tiers of hero skins! – New heroes and features coming regularly. – 60 frames per second! We’ve spent the past few years crafting a new breed of mobile game with the polish and quality you’ve come to expect from PCs and consoles. We want you to have an edge-of-your-seat MOBA experience, but we know things can always be better. Your feedback and priorities will drive our work ahead, and you’ll also see new app and feature updates regularly. We are a small startup and this is our first game ever, so we’d love to hear your thoughts and learn from you. Check out the game and drop us a note from time to time atfeedback@superevilmegacorp.com. And keep an eye out for Super Evil devs in battle! 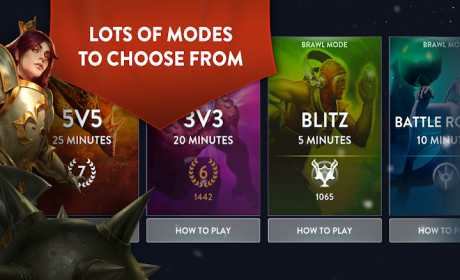 Vainglory requires Android 4.4.2 Kitkat or newer. Note: You’ll need a network connection to play.